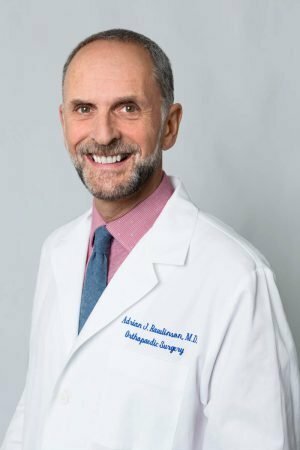 Dr. Adrian J. Rawlinson is from Manchester, England and earned his medical degree from the University of Leeds, England in 1983. He is trained in both primary care and emergency medicine. He immigrated to the United States in 1996. He has worked with both amateur and professional athletes, and before joining California Pacific Orthopaedics and Sports Medicine, he was a Team Physician for University of California, Berkeley in the Sports Medicine Department. In 2001, he was a Team Physician for the Great Britain Squad at the World University Games in Beijing, China. In July 2002, he attended the Commonwealth Games in the UK as a Team Physician for Team England. He has special interest in sporting injuries and osteoporosis. He is also the Chief Medical Officer and Co-Founder at Obeo Health where he is dedicated to providing transparency for health care consumers. At Obeo Health, Dr. Rawlinson combines his experience as a medical practitioner with his health care technology expertise to oversee the clinical team developing tools that make health care information more accessible for consumers. Dr. Rawlinson volunteers for Operation Rainbow and Lwala Community Alliance. He tweets @CMIO. He is a avid cyclist and a fan of Manchester City FC in the English Premier League.